Common and unique blue colored butterflies and butterflies with mostly blue colored wings or unique blue patternings. 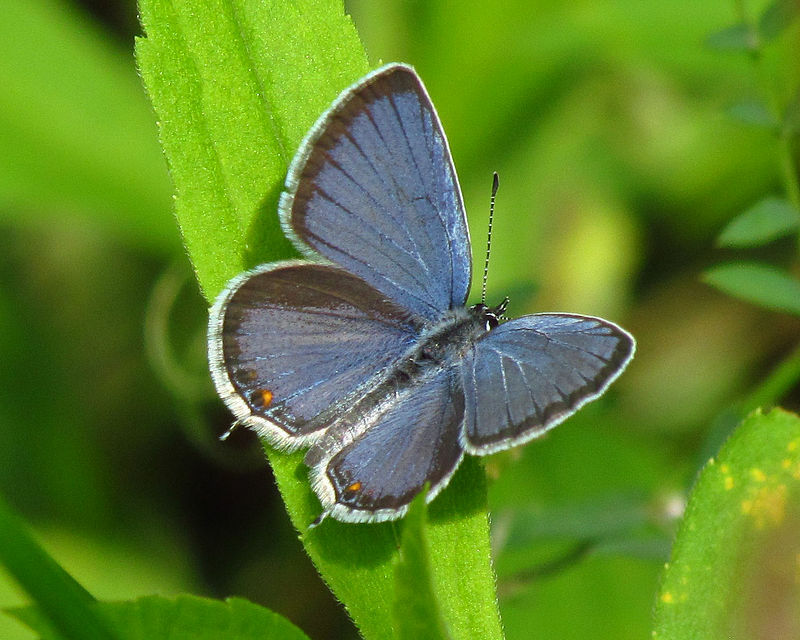 The eastern tailed-blue or eastern tailed blue (Cupido comyntas), is a common butterfly of eastern North America. 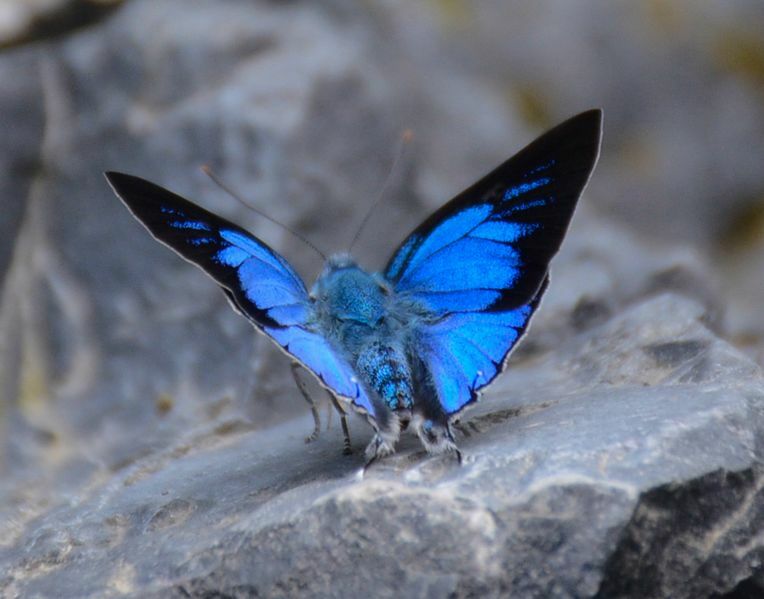 It is a medium-sized butterfly that is distinguished from other blues in its range by the small thin tail. 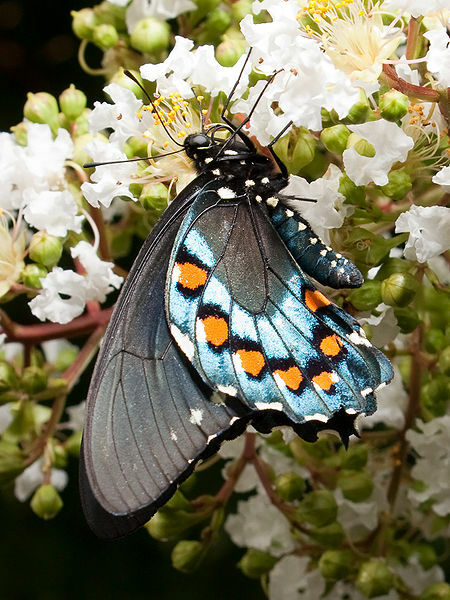 The pipevine swallowtail or blue swallowtail, is a swallowtail butterfly found in North America and Central America. 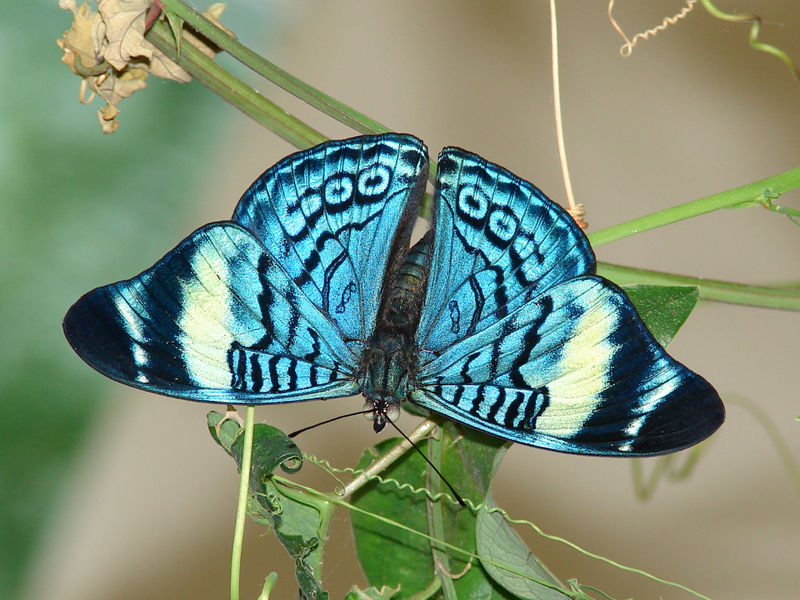 This butterfly has iridescent-blue hindwings. They are found in many different habitats, but are most commonly found in forests. 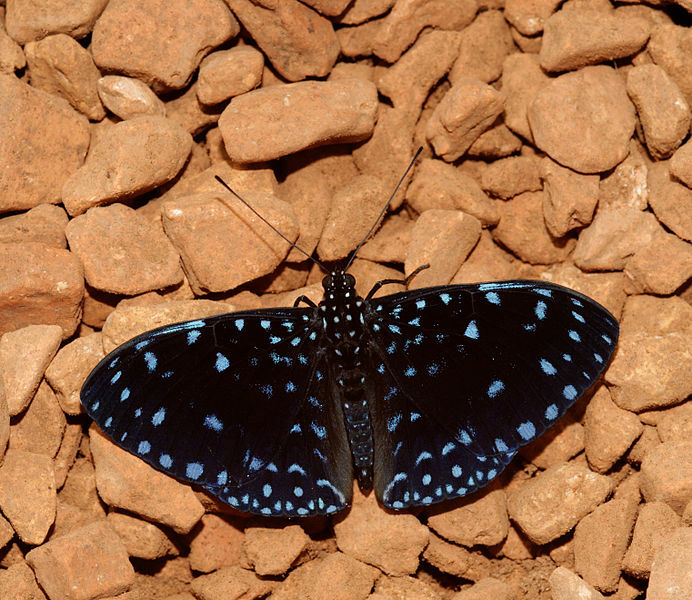 The starry night cracker or starry cracker, is a species of cracker butterfly in the family Nymphalidae. It can be found from Mexico to the Amazon basin, but is most common in lowland forest in the Caribbean area. It has iridescent blue speckling on its wings. 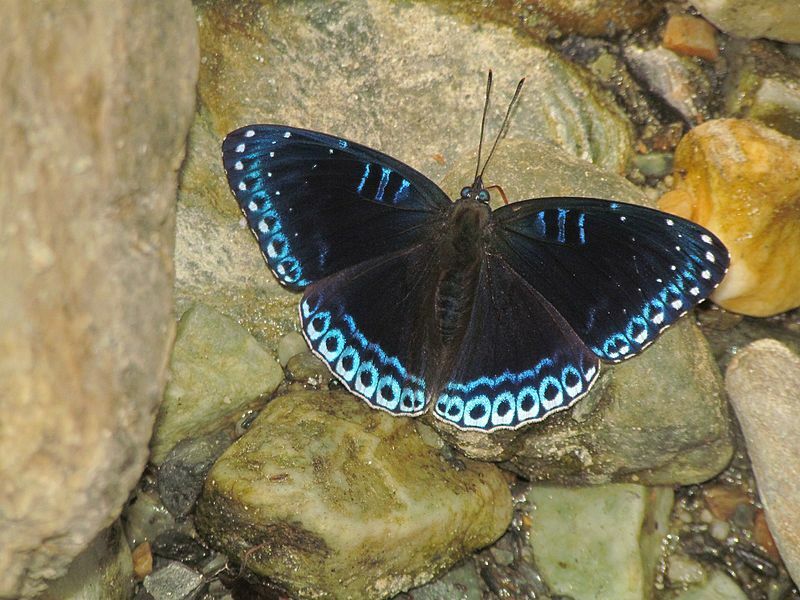 The dark blue tiger is a danaid butterfly found in the Indian subcontinent and Southeast Asia. 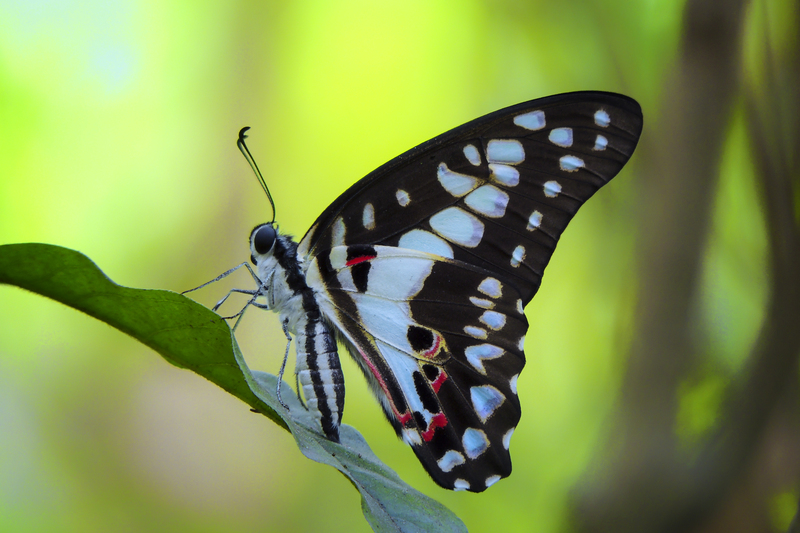 The Common Jay, is tropical papilionid (swallowtail) butterfly with pale blue semi-transparent central wing bands that are formed by large spots. 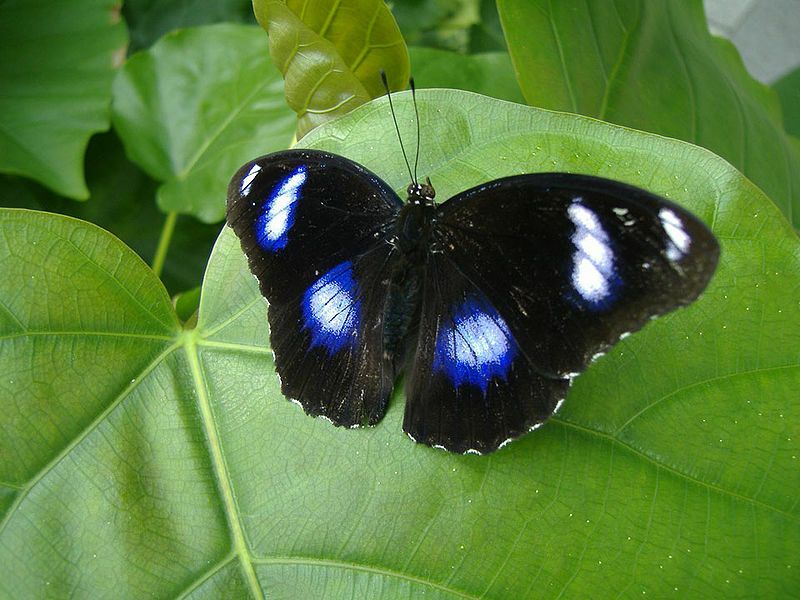 The great eggfly, also known as the common eggfly, and in New Zealand the 'blue moon' butterfly, is a species of nymphalid butterfly found from Madagascar to Asia and Australia. The common gem, is a small butterfly found in India, Myanmar, Thailand, Malaysia and Vietnam that belongs to the lycaenids or blues family. 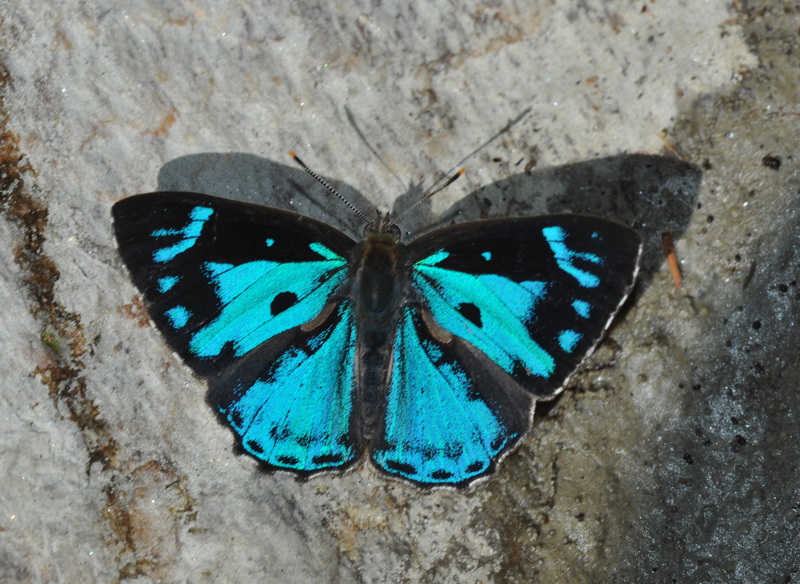 The popinjay, is a species of nymphalid butterfly found in Asia. The Procilla beauty, is a species of butterfly of the family Nymphalidae. It is found from Panama to the Amazon basin and Colombia.